1. High Quality Oils and Flower Essences. We search out different suppliers and producers to obtain oils from around the world, providing our customers with a large variety of product, at competitive prices. We have pure, undiluted oils. We also have a smaller organic line for people who don’t mind paying a bit more for a pristine product. With essential oils through our college courses and Robert’s involvement with organizations like ANHAN (Alberta Natural Health Agricultural Network), we encourage the growth of local plants and use oils from our area when available. For instance some of our yarrow, black spruce and monarda come right from Alberta. 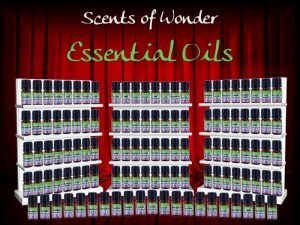 Our variety of oils is enticing, well over 100 different oils, originating from all over the globe. Evidence for our quality is that we have been in business for over 30 years, so we have stood the test of time. Local stores are our main customers, as they trust our prices, product and reliability. They have relied on repeat customer loyalty. We do not dilute our oils and buyers are getting a pure substance. Some sellers will advertise “natural oils,” but 10% or less of the exotic oil will be put in a vegetable oil such as almond. The result of this is a less pure product, and the essential oil will evaporate off it in less than a year, leaving the consumer with only the scent of the rancid almond base, not really a good deal in the long run. We are the Canadian distributors for one of the largest flower essence companies in the world- California Flower Essences Society. They supply us with their bio-dynamic essences. We also sell the Healing Herb, wildcrafted essences, originating from England. We have also developed our own, wild-crafted, local Alberta line, Prairie Deva. All of these essences are top quality, still made in the way Dr. Bach initiated. The price on the FES and Healing Herb, and Prairie Deva brand of flower essences is similar all across Canada, as we are the Canadian Distributors. It is also very similar to Bach essences and very competitive this way. We are more expensive than the American FES because we pay duty, shipping, brokerage, tax, and deal with a changeable Canadian dollar. You can buy from our online store https://selfhealdistributing.com/ or place your orders by fax or email. Once you have an established account with us you will get responses to your emails and faxes within 48 hours at the most. And your orders will be shipped out express or expedited post, that day, or the next. February is the exception, as we take the month off. Our store has descriptions of all the oils we sell and keywords and pictures for all the flower essences, to ensure reference information is available for stores and their customers. For flower essences, we carry a large amount of stock at the 7.5 ml. size with much variety. Our essential oil inventory is usually reliable, but weather conditions, such as storms in Italy, can, for instance, cause a shortage of citrus oils, and also increases their cost. 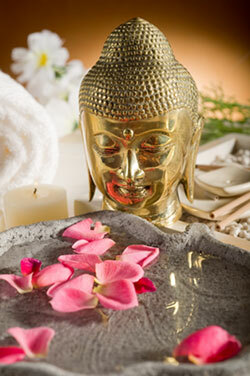 We provide fabulous pamphlets and resource material for the stores to accompany the flower essences. We are always experimenting ourselves and try new oils that come onto the market and still hold a place for the familiar favorites. We also get excited when we learn new applications for the oils or essences or new modalities they blend with. This means you never need to worry about your customers getting bored with the ‘same old stuff’. Every year, there will be something new and different to explore.